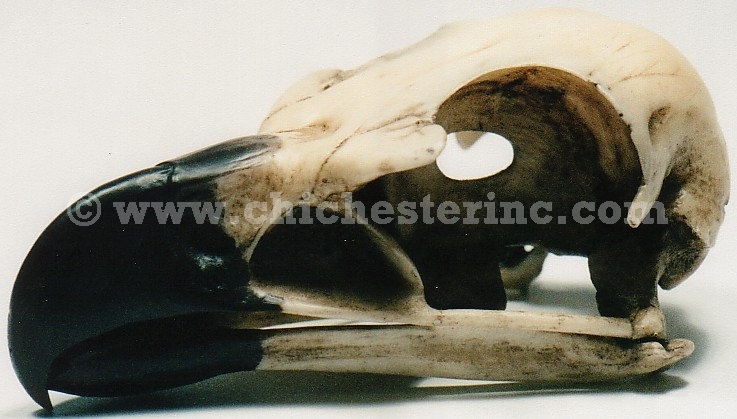 These reproduction (i.e., not real) eagle skulls are some of the best quality on the market today. They are made using plastic resin and are then hand painted. The top part of the skull and the jaw are not attached. These are about 4.25" long. Please note: We are not interested in buying or selling real eagle skulls.